According to government figures, combined travel agent and tour operator turnover in the UK grew by nearly 10% to £36.2 billion in 2017, far outpacing previous annual growth of c.5% since 2008. So, who are the types of travellers that tour operators are trying to appeal to? Google searches for "solo travel" and "travel alone" peaked at their highest level ever in January 2018 and travel companies have begun to build catered products to accommodate the growing solo traveller segment. Canadian firm Transat has expanded their Solo Collection in 2018. Alongside this expansion they are waiving single supplements and creating communal tables for shared meals. Saga Cruise is also building 109 solo cabins on its new ship launching in 2019. 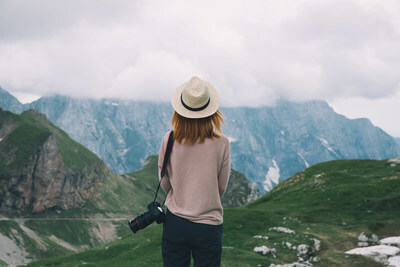 We consider that the key to success in targeting the solo traveller will be in creating a differentiated, "Instagram-worthy" product, fostering a sense of inclusion and making travel easily accessible. According to the ONS, there are around two million single-parent families in the UK. A survey found that 77% of them believe travel companies do not consider the realities of lone parenting when developing products, services and marketing campaigns. It's no surprise, then, that Virgin Holidays has taken a new approach to pricing for single parent families. Hotel rooms are traditionally priced on a double occupancy basis, but Virgin has negotiated directly with hotels to reduce the amount that a single parent would pay. Intrepid Travel recorded a 16% growth in family bookings in 2017 and has launched six new family tours in 2018 in response. Importantly, these tours also do not charge a supplement for parents traveling without a spouse. For lone parents that are shouldering the financial and organisational burden of holidays, this type of product is likely to make all the difference in their decision to purchase. Increasing awareness of what constitutes a healthy lifestyle, particularly among millennials, is fuelling growth in health and wellness holidays. Travel Weekly forecasts the global wellness tourism market to grow at a CAGR of 10% during the period 2017-2021 and yoga retreats, spa holidays, weight management camps and cycle tours have all seen an increase in uptake in recent years. Wellbeing Escapes, one of the UK’s largest operators in this space, offers a variety of health and wellness holidays while BookRetreats, set up by two Silicon Valley employees, is stylised as the 'Airbnb of yoga retreats' by offering a platform to search for retreats around the world. However, health and wellness holidays are often perceived as luxury (and thus unaffordable) travel, which inhibits their mass market appeal. Brands that can dissuade this attitude and provide affordable retreats could therefore be the most successful in gaining market share. To win in this highly competitive market, established players will need to continue to meet the needs and expectations of an ever-demanding customer base. Will the established players be agile enough to respond to these changing needs? We consider that smaller brands with niche specialisms in this space will be key to driving differentiation and delivering a truly customer-centric offering.